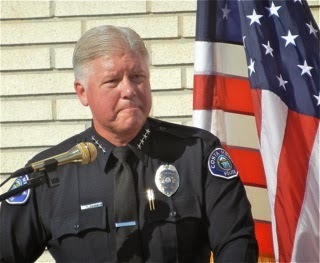 Earlier this week I learned of yet another consequence of the short-sighted, vindictive attitude taken by the current Costa Mesa City Council majority toward the Costa Mesa Police Department. I learned that, due to the severity of the current staffing situation, no members of the CMPD will participate in the annual Baker-To-Vegas Challenge Cup Relay that will be held late in March. You can read about that event HERE. As some may already know, my best friend for 57 years of our lives, Larry Moore, was the co-creator of this event and served as its Race Director up until his passing a decade ago. You can read about the race history HERE. It's true. For one of the very few times in the past two decades a Costa Mesa Police Department team will NOT be among the 8,000+ runners from around the world participating in this grueling event. Despite the best efforts of Chief Tom Gazsi and his command staff, because we have so few officers on the street - extraordinary numbers of overtime hours being worked and officers not normally assigned to patrol duties out on the streets, trying to keep the city safe - it is simply not possible for the CMPD to field a team this year. Officers participate in this race on their own time, but staff shortages will keep that from happening this time around. Several of our neighboring cities participate each year. Newport Beach, for example, does exceptionally well in this event. Competition and camaraderie have been the watchwords of this event, with friendships and working relationships forged during the race that last a lifetime. So, we have yet another reason to tell Mayor Jim Righeimer, Mayor Pro Tem Steve Mensinger and Gary Monahan, just how you feel about them ignoring their own consultant's recommendations and the advice of highly respected senior law enforcement leaders - former Interim Chief (twice) Steve Staveley and legendary former CMPD Chief Dave Snowden - and cutting staffing to levels unseen in our city in nearly three decades. 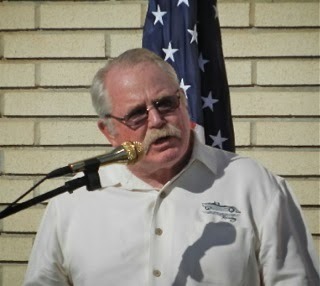 You can tell them how you feel about them refusing to permit Chief Gazsi to even BEGIN the lengthy recruitment process to fill existing and anticipated vacancies for upcoming retirements for more than two years, putting us way, way behind the curve. You also can thank them for creating such a toxic work environment - including suing the men and women of the CMPD - that lateral transfers OUT of the department accelerated and exacerbated the recruitment dilemma. We are NOT a safer city due to their actions. 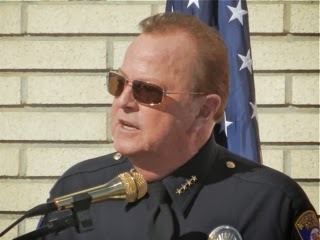 As former Interim Chief Staveley - shown here - said in his letter of resignation, "They are, in my opinion, incompetent, unskilled and unethical." Please take a moment out of your busy day to drop them a note to let them know how you feel. 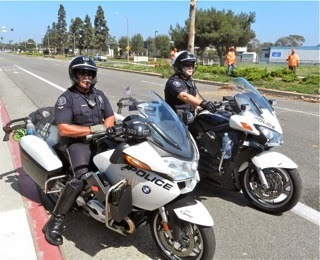 In the meantime, the men and women of the Costa Mesa Police Department continue to show up for every shift, sacrifice irreplaceable family time to work the overtime demanded of them and do their very best to keep the residents and visitors to our city safe. We should all thank them for their efforts on our behalf. This is truly a shame. It goes deeper than just the police department. There are many volunteers that look forward to helping at this event each year. It builds a comraderie between departments as well as community members. The participation in activities like this help build an image of a healthy department and can lead to positive recruitment opportunities. The inability to participate has the opposite effect. I count 209 faces in the picture. Is it an old picture, or are there police in it that are not among the 109 remaining sworn officers on the force? No, that's a current photo, but it includes EVERYONE in the CMPD, sworn and non-sworn, plus a couple of former chiefs. Was taken last fall. There would be fewer bodies shown if taken today. One exercise would be to circle the faces that are no longer there and then guess the ones who won't be next year. A couple years down the road all those shirts will be green so that will be a whole nother game. I hope every single one - sworn, civilian, and volunteer - who works for CMPD and is hanging in here in Costa Mesa, woking to keep us safe, knows how much they are needed and appreciated (by most of the people, anyway). Green shirts? Please God, no. You guys are the best and thank you so much for continuing to protect and serve. If any of our officers are reading this please pass it along to the others. Truly sad that our department could not participate in the Baker-Vegas Cup this year. I hope this tradition can continue next year. Blood, Sweat, Pride and Honor! Keep up the good work, CMPD. Hopefully things will change soon.